We offer a variety of shapes and sizes to suit your unique sense of style. The clean, crisp, architectural lines of these tables look great on decks and patios or in yards and gardens. We hand select every board and the tables tops and bench seats are secured from below to create a beautifully smooth surface that highlights the natural beauty of the wood. Our furniture is designed and hand built at our store in Northern New Mexico. Beautiful and functional, our furniture is designed for timeless style and durability. 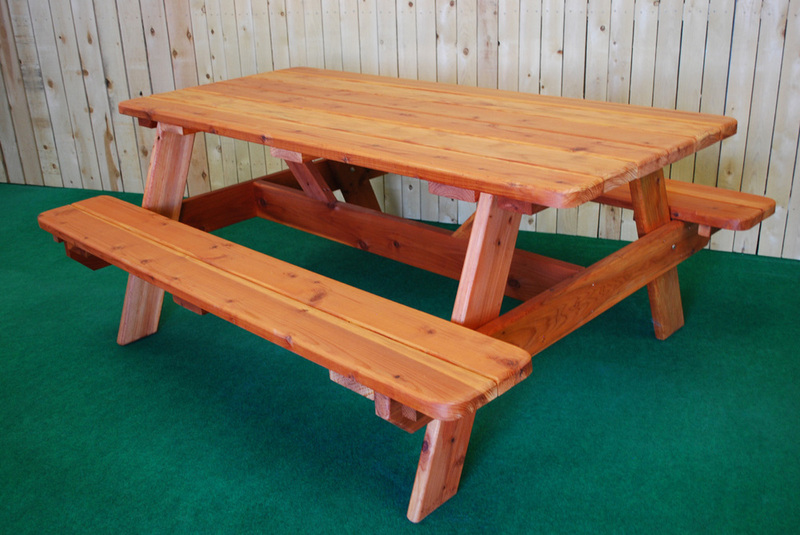 The table top and bench seats are 2" x 6" redwood and the table legs are 4" x 4" redwood on all tables except the 72" Picnic which uses 2" x 6" redwood. 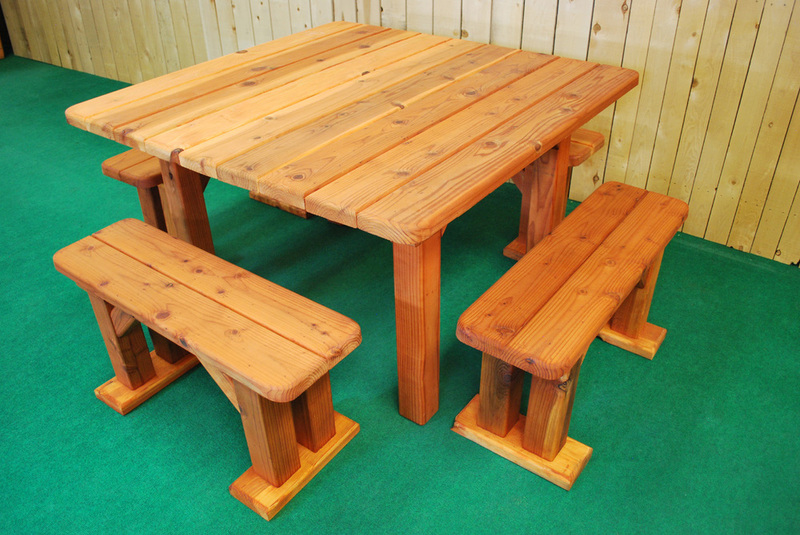 All tables are assembled with zinc coated screws for strength and durability.